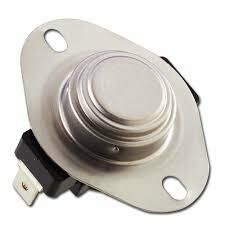 4t120r is a 120 degree, recessed mount thermodisc. It is wired between your switch and the blower motor (onto the stove). It will allow power to go through once the stove heats up to 120 degrees and will cut power once your stove drops below that temperature, in order to not blow cold air from your stove. This is a generic part that is used on many stoves. We also have a flush mount thermodisc available.